Now available in Grande Prairie at Gudrun’s office (for your signed copy) or in Grande Prairie at Homesteader Health (both stores) and the Health Hut (Prairie Mall). Gudrun is on a book signing tour in Vancouver and for right now the coloring book is already available at Gaia Garden Herbal Apothecary and Serendipity’s Backyard in Steveston. Finlandia Pharmacy (Vancouver) is carrying the book, HEALING SPIRITUALITY. Gudrun extends her thanks for your continued support. Please continue to help spread the word. 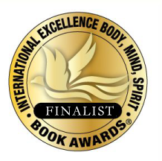 Healing with Bach Flower Mandalas has been declared a Finalist. 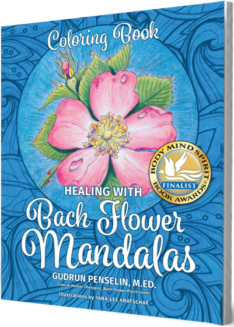 Stay tuned for updates and please help get the word out about both of my newly-released books, HEALING SPIRITUALITY – A PRACTICAL GUIDE TO UNDERSTANDING AND WORKING WITH BACH FLOWERS and HEALING WITH BACH FLOWER MANDALAS. Both provide marvelous tools for personal growth and healing in very simple yet effective ways.